N.T. Wright takes us on a fascinating journey through ancient beliefs about life after death, from the shadowy figures who inhabit Homer's Hades, through Plato's hope for a blessed immortality, to the first century, where the Greek and Roman world (apart from the Jews) consistently denied any possibility of resurrection. We then examine ancient Jewish beliefs on the same subject, from the Bible to the Dead Sea Scrolls and beyond. 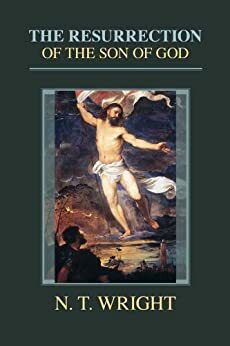 This sets the scene for a full-scale examination of early Christian beliefs about resurrection in general and that of Jesus in particular, beginning with Paul and working through to the start of the third century. Wright looks at all the evidence, and asks: Why did the Christians agree with Jewish resurrection belief while introducing into it - across the board - significant modifications? To answer this question we come to the strange and evocative Easter stories in the gospels and asks whether they can have been late inventions. Wright seeks the best historical conclusions about the empty tomb and the belief that Jesus really did rise bodily from the dead, recognizing that it was this belief that caused early Christians to call Jesus 'Son of God'. In doing so, they posed a political challenge as well as a theological one. These challenges retain their power in the twenty-first century. 4.0 out of 5 starsA powerful historical explanation for the developing belief in the risen Jesus! In his book, "The Resurrection of the Son of God: Christian Origins and the Question of God," Nicholas Thomas (N.T.) Wright gives profound historical and theological insight into the resurrection (Easter) narrative. He considers life beyond death according to paganism, the Old Testament, Post-Biblical Judaism, and early Christianity. But, his central aim is to answer the question: Did Jesus of Nazareth really rise from the dead? He believes the answer is largely found in the question of why Christianity began, and why it formed. Wright sets the stage in the first part of his volume by giving a powerful allegory of a king who commanded his archers to shoot at the sun. With all of their might they attempted to pierce the sun, but in vain. All of their arrows fell short. A few days later, the youngest archer noticed the reflection of the sun upon the still water. With a single shot he shattered the sun. He uses this parable to illustrate the fact that all the arrows of history cannot reach God. However, Wright helps the reader to recognize that there are reflections that must be aimed at throughout history that tell the true story of the resurrection of Jesus. According to Wright, aiming within the worldview and language of second-Temple Judaism is crucial to hitting the target. While he points his arrows momentarily at other targets outside this scope to better comprehend the historical context, he is careful to focus his direction back on the Jewish aspects that pertain to life after death and the resurrection. Furthermore, Wright shows evidence that the idea of resurrection was incomprehensible within the mindset of pagan cultures. Rather, for many of these ancient peoples, there was no tradition of life after death. Thus for Christianity, the fundamental claim that Jesus rose again from the dead was incoherent and unbelievable. After establishing that a majority of second-Temple Judaism believed in a coming resurrection, Wright devotes two main parts of his text to the resurrection in Pauline correspondence. He wisely unpacks the epistles to the Corinthians, especially chapter fifteen of the first epistle that openly centers on the resurrection. This section transitions from merely a Jewish tradition in a coming resurrection to the resurrection of Jesus. His attention on Paul is intentional and essential to understanding the future hope and doctrine of Christendom. In part three, Wright reveals how little the Gospels speak of resurrection traditions, outside of the empty tomb of Jesus. Additionally, he examines the other books of the New Testament to see what they say about resurrection. He discovered that there was a sudden rise of a resurrection movement among early Christianity that was turning the world upside down. Moreover, Wright hones in on what happened to this early Christian faith during the second and early third century. He found the same conviction formed and became clearly focused throughout this period of time. Therefore, Wright begs for a historical explanation for such a developing doctrine of the resurrection. The final parts conclude where many Christians might begin–with the Gospels. He gives an articulate description of the Easter narrative according to each gospel account. As Wright determines, there is no doubt that each of these writers told the story in their own way with their own purpose in mind. But, what is remarkable is that their testimonies were consistent. Even though Wright admits that neither the empty tomb nor the appearances of Jesus in and of themselves proves the resurrection to be true, but together, they present a powerful reason for the development of the early Christian belief. 5.0 out of 5 starsA must read for any intellectual who wants to know more about Jesus' death and resurrection! N.T. Wright’s Resurrection of the Son of God is a tour de force on the historical evidence for the resurrection of Jesus. This well-written, academic book, provides ample evidence for the historicity of the resurrection of Christ. Whether one believes in Jesus or not, this book will take you on an intriguing journey into the mind of an ancient Jew to understand the culture at the time and why Jesus made such a big mark on history. For the average reader, the book may be a bit challenging at times. Often when one is reading a chapter, it’s easy to get a bit lost and wonder where Wright is going with all his points. Usually though, by the end of the chapter, one finds that all the points that were made earlier in the chapter come together to make a solid argument for what Wright is trying to get across. In this book, Wright discusses things such as the extent to which one can understand the historical Jesus, why Paul’s letters matter in the resurrection study, what we can ascertain from the Gospels, what we can ascertain from non-canonical texts, and so much more. A focused reading will yield one with new insights and ideas as to why Christians can with good faith believe that Jesus actually rose from the dead. Wright also provides counterarguments to some of the most common arguments against the resurrection of Christ. Also in this reading, Wright addresses some of the supposed biblical discrepancies and tells us what impact they really do have on the historicity of Jesus’ death and resurrection. Perhaps one of N.T. Wright’s most compelling arguments is the “tomb-plus” theory that combines the evidence for the empty tomb with his port-mortem appearances. This is a great apologetic for the Christian faith and causes people to confront the person of Jesus face to face. One will come to realize that they can’t just ignore the claims of this ancient rabbi because his teachings are eternally self-involving. If Jesus truly rose from the dead as Wright tries to show, then one has to deal with the fact that Jesus called himself God, the creator of the universe. Personally, I really enjoyed how even though this is a very academic book, Wright also spends time to bring his conclusions into the real world. This quote really took it home for me as Wright reminds us in this book, "In a world without Jesus we would have no way to successfully chart a course in life with true meaning. In a world without Jesus there would be no way to make sense of tragedies such as earthquakes, hurricanes and Adolf Hitler. And in a world without Jesus there would be no hope for the hopeless – which is all of us to one degree or another" I believe that all of us has to deal with the question of Jesus. So, for those who are searching for hope in life, perhaps this book can start your intellectual understanding of Jesus, who is the hope of all Christian believers. For those who already believe in Jesus as their Lord and savior and feel the need to bolster their faith in God, this is the book for you. For the more academic minded reader who wants to wrestle with the identity of Jesus and understand what he came to do on this Earth, Christian or not, I highly recommend buying and reading this book! This is the real deal. 700+ pages of scholarly history and Biblical exegesis. Wright pulls no punches when it comes to debunking the many modern myths that plague the Resurrection story. Devoting entire sub-chapters (which are thick) to the controversial arguments, Wright allows history to take it's proper place. He does this by spending a considerable amount of time exploring the varying cultural views of death that pre-date the Resurrection of the Christ. So, instead of conjecturing History based on contempory views and skepticism, he uses the worldviews of the relevant cultures, during the particular age, to inform the context- into which the History takes place. This is in no part an easy read, but if you can manage the slow forward trek, Wright will not disappoint. He succesfully builds a poignant case for the Resurrection as it was meant to be understood. In the end, you will not be off-the-hook for being ill-informed, culturally baised, or historically blind. The reader is left with no choice but to consider the Resurrection of Jesus as a historical event. The denial of such can only be supported by inventive theories, with little-to-no proof to back. But, as always, the reader will still be allowed a choice. Wright certainly acknowledges that many people will, on faith, decide it did not occur. And this is the brilliance of good scholarly work. Either way you lean, you will be forced into a decision of faith, which is a true apologetic result.